What we know for sure is that disagreement is normal and natural within a relationship or marriage. It can be uncomfortable, frustrating and NOT what you want to do–but there it is and you have to deal with it. 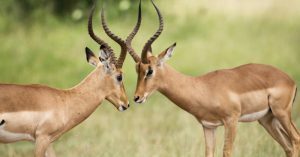 HOW you deal with disagreement and stopping fights is a large part of what determines whether you stay in love over the years and there are certainly “right” ways and “wrong” ways of doing it. A person who got our “No More Jealousy” program sent us a message about what she’s learned and how she’s turning her relationship around that goes far beyond the subject of stopping jealousy. What she’s learned and is practicing goes to the very heart of how to stop disagreements and fights before they even get started. “Your No More Jealousy package has helped me realize that the most effective way to stop being jealous is to shift focus from the fear of losing my husband to taking stock of what I need and want in order to be fulfilled. I cannot control who seeks my husband out at parties or who he approaches for conversation. If that is where my focus remains, I am actually denying the value of my own experiences. I now try top stay focused on who it is I want to talk to and what is conveyed in my interactions rather than following my husband’s every move out of the corner of my eye. “Your materials also helped me gain the clarity of mind to speak with my husband about what I may need from him so that I can better enjoy our time at social gatherings. He now makes sure to spend some time with me at these gatherings so that we interact as a couple for a period. He also makes sure to check in with me periodically at parties which helps me feel more grounded and secure. “I have become much better at recognizing the knee-jerk thought patterns I become trapped in when I see my husband enjoying the time he spends with another woman. Instead of comparing myself to that woman or allowing my fear of losing him to take over, I commit to engaging more fully in my own interactions with others and leave him space for his. Wow–what an inspiration this woman is and we appreciate her letting us know what’s working for her to create the marriage that she wants! 1. Shift your focus from fear to what you want and need. Fear of what happened in the past and what could happen in the future simply ignites fights and keeps them going. Make a concerted effort when fear comes up to calm yourself down and shift to what you want and need. 2. Recognize knee-jerk thought patterns you get trapped in. So many times when you get triggered, you don’t even realize what thoughts you have that are causing you to be triggered in the first place. In order to stop a fight before it begins, you have to become aware of what thoughts you’re thinking that are causing you stress. Awareness is the first step and you have to stop yourself from skipping this step when your emotions seem to dictate your actions. 3. Get clarity of mind to speak what you need. When your negative, fearful thoughts take you over, you have to do something to stop yourself from unconsciously saying and doing what will shut your partner down, cause a big fight and end all hope for a discussion. 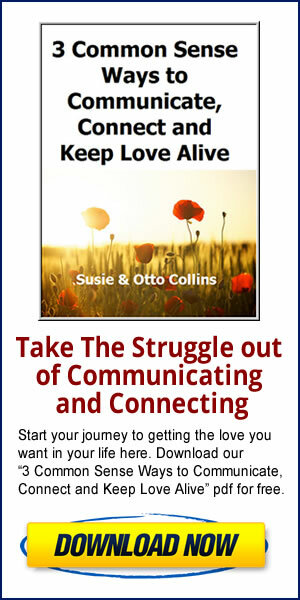 To avoid this from tearing the two of you apart, you have to find and use ways to get clarity about what you want and then speak it directly–and ask. So there you have it…Proven ways to stop fights and disagreements before they happen. If you practice these suggestions, we know you have more of the love and connection that you want.